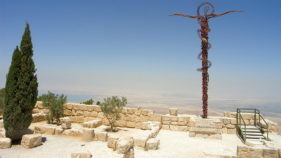 Santorini is one of the most heavily visited of the Greek Isle destinations, and Santorinians are known for their friendliness toward travelers. Your first order of business in Santorini should be to hit the colourful beaches — the black and red sands make for a memorable visit. 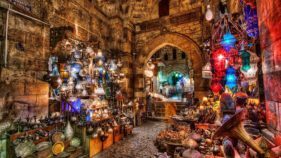 Next up, indulge in the archaeological delights of the impressively preserved Ancient Akrotiri or climb the ancient stairs that lead to the historic city of Manolas in Thirassia. From there, catch a breathtaking view of the caldera, a brilliant turquoise pool of water that serves as a nucleus for the varied isles of this archipelago. 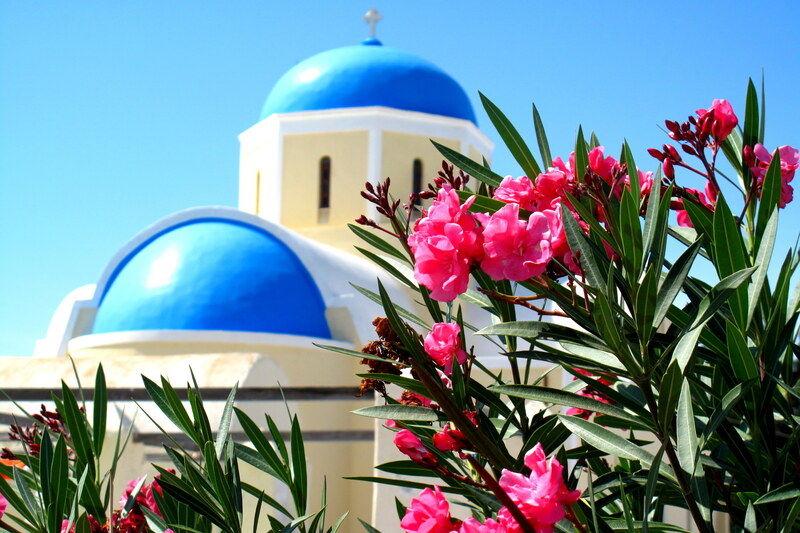 Santorini is not only a summer destination. The fall (and spring) seasons are known for warm weather, but very few tourists take advantage of it. Some would say you only need a day to enjoy these islands’ charms (they are a popular port of call for cruise ships), but to really soak in all Santorini has to offer, you’ll need a few days to a week. Then you’ll have plenty of time to learn there’s more to what meets the eye. 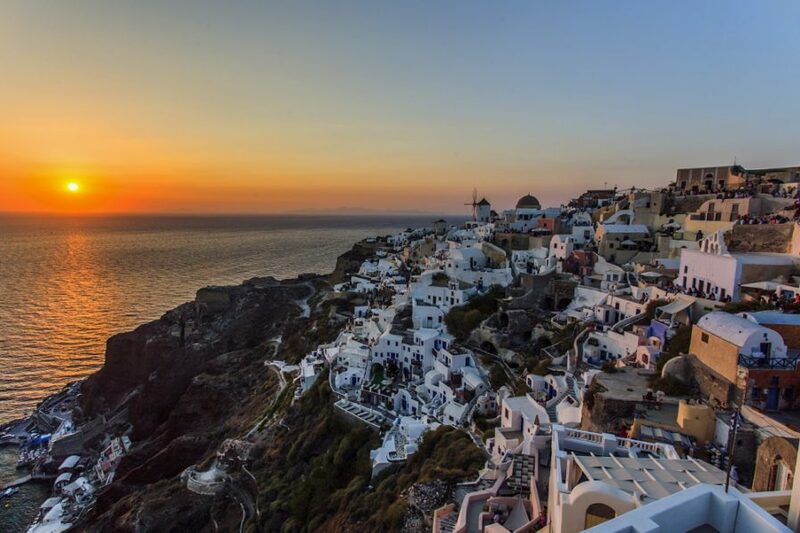 Sunsets in Santorini are known for being some of the most stunningly beautiful in the world. Catching one from the Oia’s Byzantine Castle ruins is one of the most popular spots on the island, but the sunset view from the Akrotiri lighthouse, Santo Winery or at a restaurant overlooking the caldera would be perfect too. 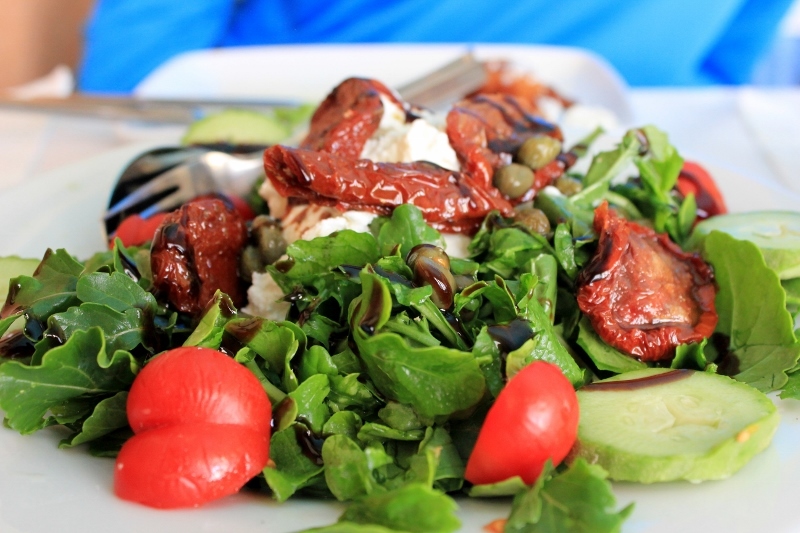 No doubt while in Greece you will eat plenty of traditional Greek food including salads, but while in Santorini indulge in a delicious Santorini salad. This salad is a version of a Greek salad that uses the ingredients that Santorini is known for: capers, sundried tomatoes and cucumbers. 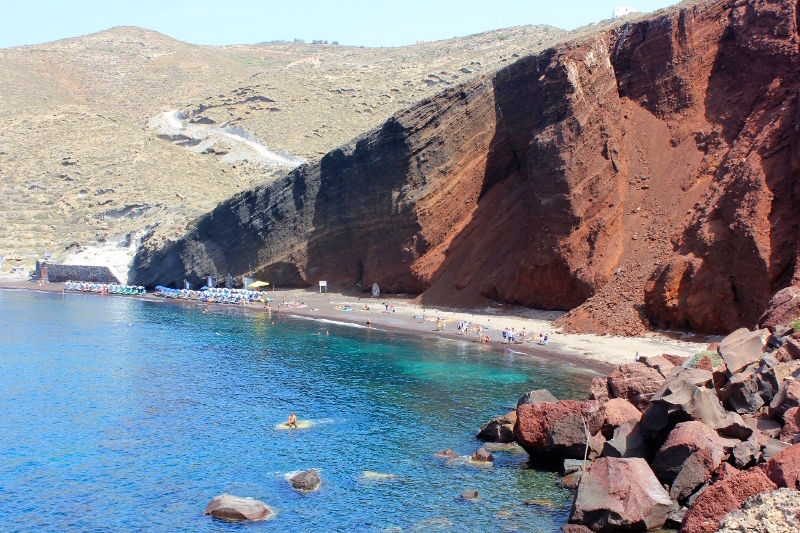 The Red Sand Beach in Santorini is located next to the ancient site of Akrotiri. This small beach features varying shades of read that can easily be seen from the headlands if you decide to not take the rocky path along the mountain to reach the beachfront. 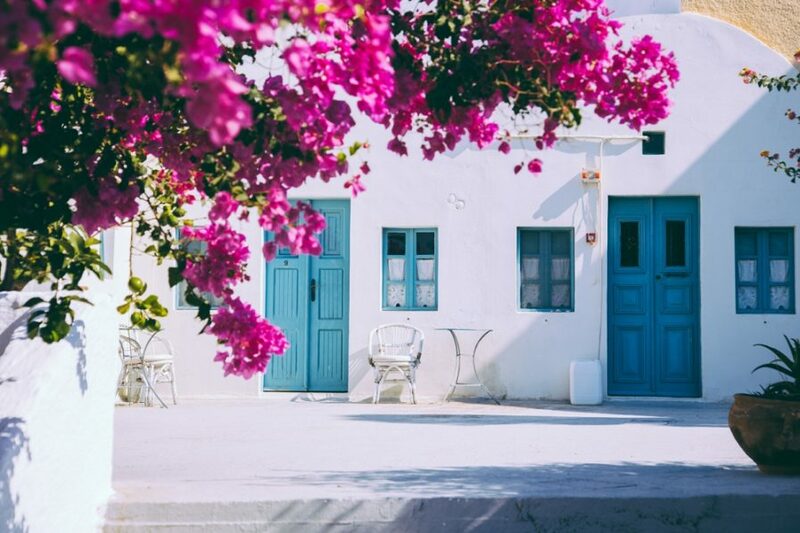 White-washed cave-style buildings featuring bright blue doors framed by fuchsia flowers. Complete with a pool, super friendly and helpful staff, and even morning yoga classes, If you are looking to be in the center of all the action, your best bet is to actually stay in Fira, although you may pay a little more to do so. If you are seeking a quieter getaway with the best views of the caldera and have a bit more money to burn, check out all the amazing properties Oia has to offer! Are you the adventurous type? Does jumping in to crystal clear Mediterranean waters surrounded by the striking cliff faces of Santorini sound like your cup of tea? 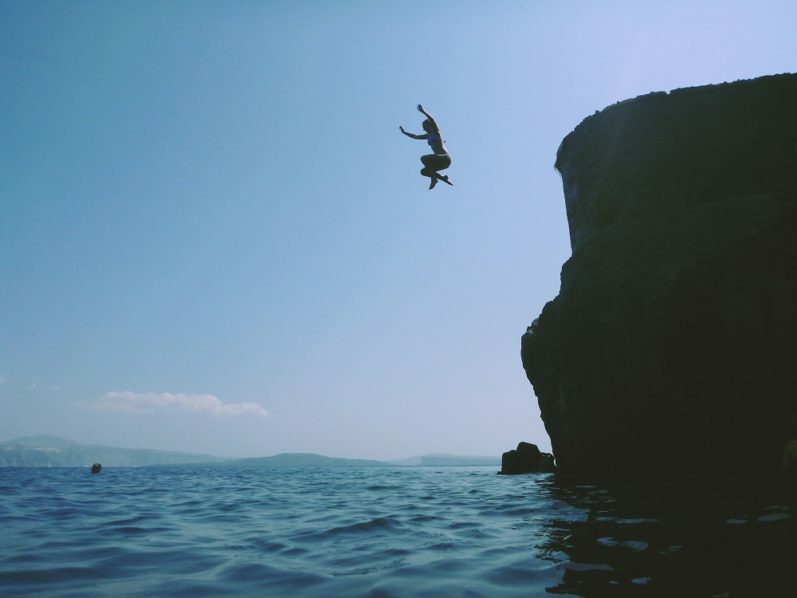 Well then you have to visit this incredible swimming spot at Amoudi Bay. You can swim straight off the rocks, or if you are game, climb up the stairs of the massive boulder in the water and do your best dive in!